There is an immense range of websites and blogs offering apparels, so make sure you eye-ball at them before going to a party, high school get together, bonfire or any handout with friends to find the right match for your personality. There are always a lot of dresses and outfits in the wardrobe but why do we want more? Because old clothes don’t make us happy and perhaps don’t fit us anymore & we want to bang in the crowded room with glitz and glam ever since the social media hype is so much in_ we love to become belle of the ball and catch all the possible limelight. As kesha says, “The party doesn’t start till I walk in”. So let us save more and more to buy our favorite items from the shopping blogs. Because for me, it’s already an “add to cart” kind of day. When you are confused about which outfit to wear you must choose between black or white because these are the colors that never go out of style, they remain fresh forever and also are very eye-catching. For a morning hangout, white can do very well however for a cozy and comfortable night; be more elegant in a black outfit maybe? Well not only women but guys too are shopaholics, and personally what I see from here is that guys too do online shopping a lot. It is just the way it is. Now right here find out what we have for you today? 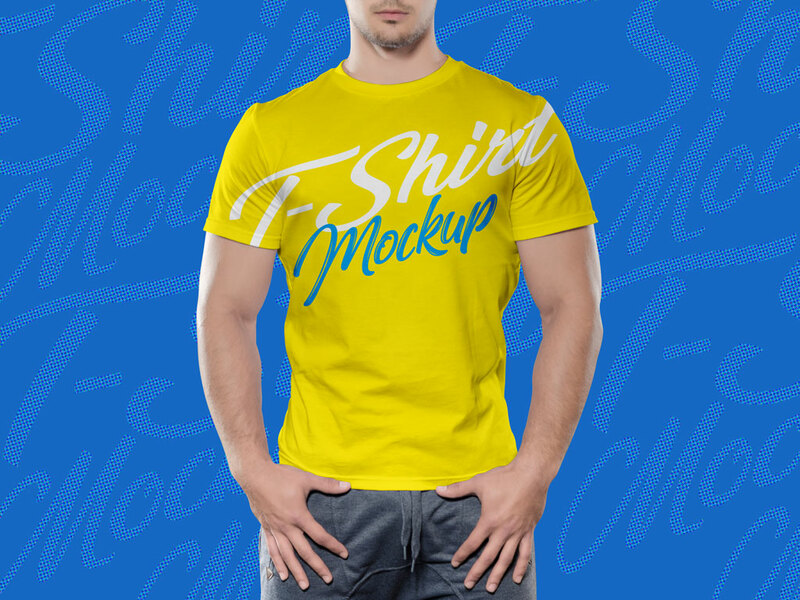 Check out this free fit man half sleeves t-shirt mockup that you can use freely on your blogs and websites especially if you want to display a t-shirt design before the onlookers and visitors. Also this mockup can be used as a presentation for your client. So better be using it and revert us with your feedback. 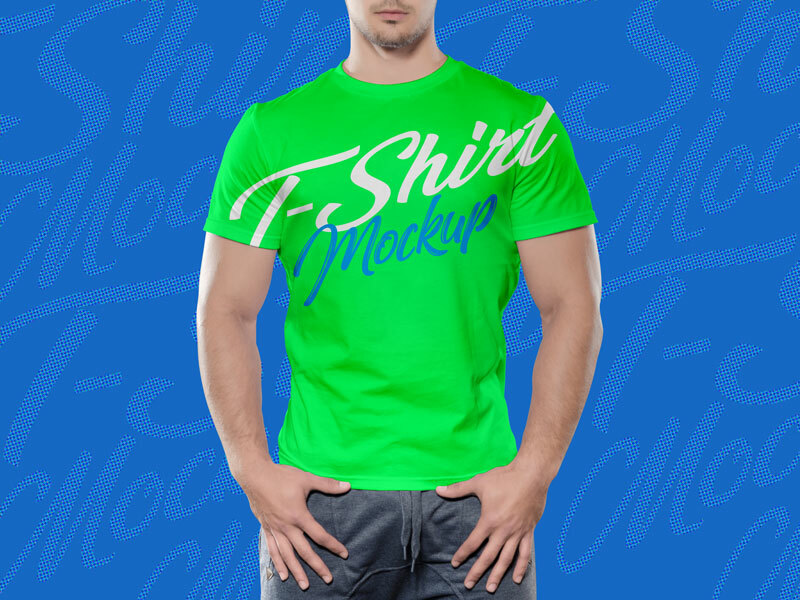 We would love to know how you are going to make use of this pretty pleasing mockup. T-shirts usually have softer fabric and any louder and brighter font looks just so good on it. The more vibrant the color of the shirt is the better selling it will achieve trust me. This is all for today, see you tomorrow. Here we go.